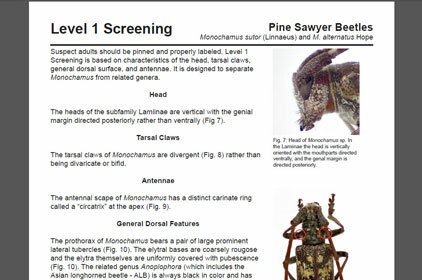 This aid is designed to assist in the sorting and screening of Trichoferus campestris adults collected from CAPS traps in the United States. 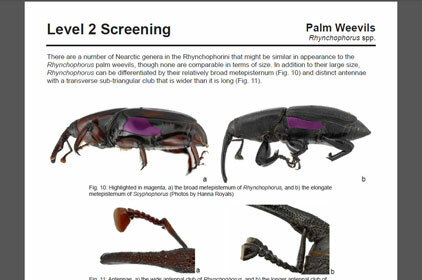 This aid is designed to assist in the sorting and screening of two species of Chlorophorus adults that may be collected during CAPS visual surveys in United States. 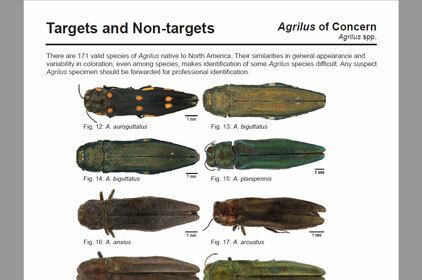 This aid is designed to assist in the sorting and screening of Agrilus adults collected during CAPS surveys in the United States. 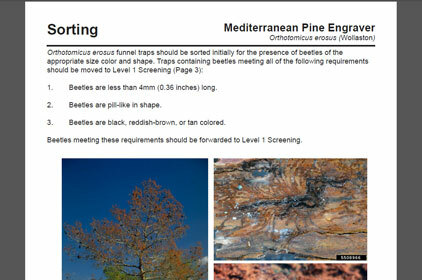 This aid is designed to assist in the sorting and screening of Neoleucinodes adults collected from CAPS pheromone traps in the continental United States. 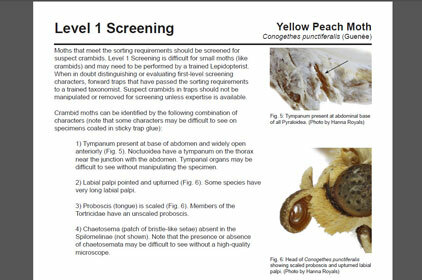 This aid is designed to assist in the sorting and screening of Oryctes suspect adults found during visual inspection or collected from traps in the United States. 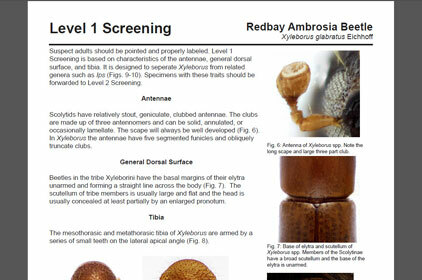 This aid is designed to assist in the sorting and screening of Tetropium adults collected during CAPS surveys in the United States. 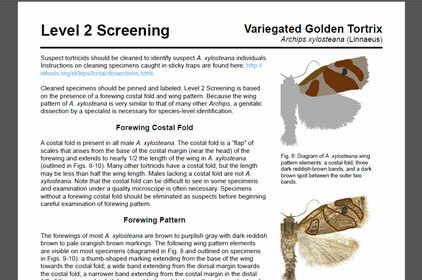 This aid is designed to assist in the sorting and screening of Aeolesthes sarta adults found during CAPS visual inspections in the United States. 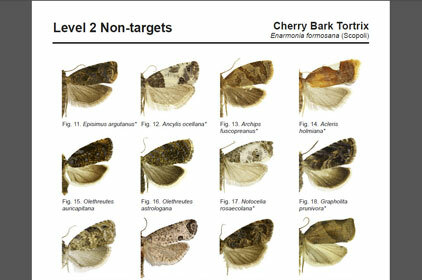 This aid is designed to assist in the sorting and screening of Stenoma catenifer suspect adults collected from CAPS pheromone traps in the continental United States. This aid is designed to assist in the sorting and screening of Heteronychus arator suspect adults collected through visual surveys in the continental United States. 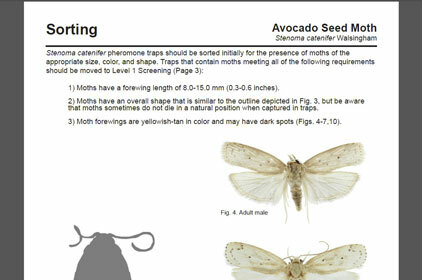 This aid is designed to assist in the sorting and screening Mamestra brassicae suspect adults collected from CAPS bucket traps in the continental United States. 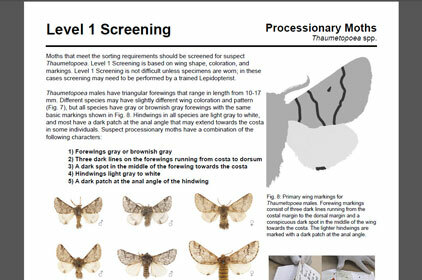 This aid is designed to assist in the sorting and screening CBT suspect adults collected from CAPS pheromone traps in the continental United States. 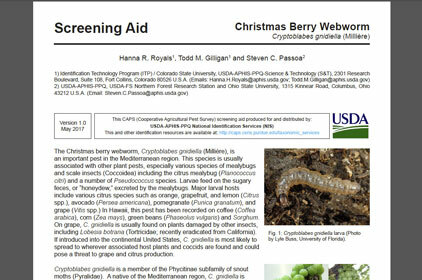 This aid is designed to assist in the sorting and screening Cryptoblabes gnidiella suspect adults collected from CAPS pheromone traps in the continental United States. 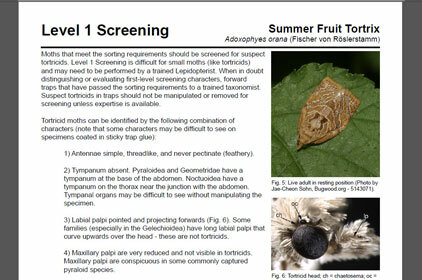 This aid is designed to assist in the sorting and screening Tecia solanivora suspect adults collected from CAPS pheromone (sticky) traps in the continental United States. 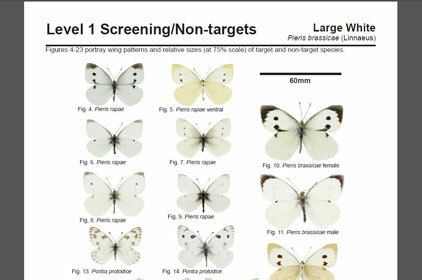 This aid is designed to assist in the sorting and screening of suspect Pieris brassicae adults collected during CAPS visual surveys in the continential United States. 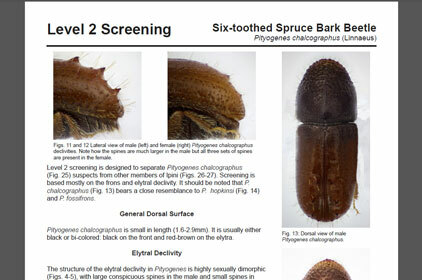 This aid is designed to assist in the sorting and screening Darna pallivitta suspect adults collected from CAPS pheromone traps in the continental United States. 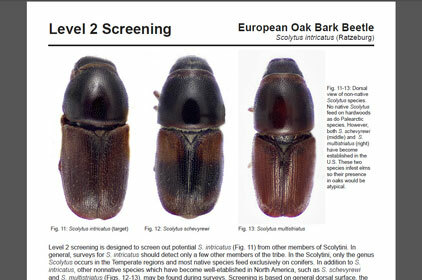 This aid is designed to assist in the sorting and screening of suspect Rhynchophorus adults found during CAPS visual surveys in the continential United States. 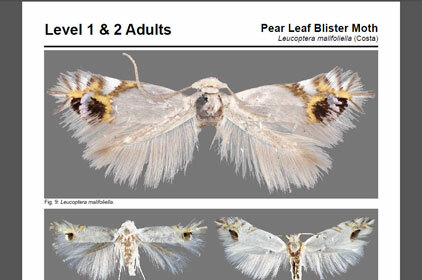 This aid is designed to assist in the sorting and screening Chilo suspect adults collected from CAPS pheromone (sticky) traps in the continental United States. 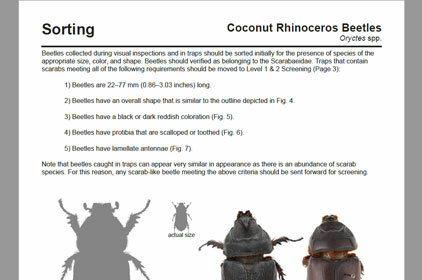 This aid is designed to assist in the sorting and screening of suspect Rhabdoscelus obscurus adults found in CAPS pheromone traps in the continental United States. 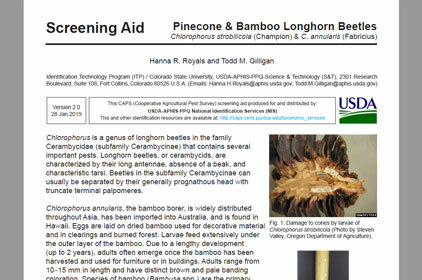 This aid is designed to assist in the sorting and screening Conogethes punctiferalis suspect adults collected from CAPS pheromone traps in the continental United States. 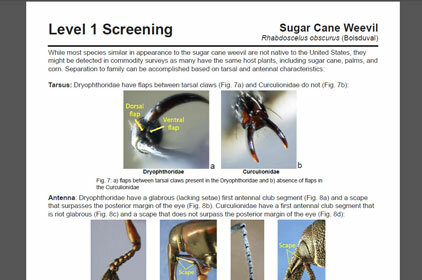 This aid is designed to assist in the sorting and screening of Platypus quercivorus and Megaplatypus mutatus suspect adults collected by Lindgren funnel traps in the continental U.S. 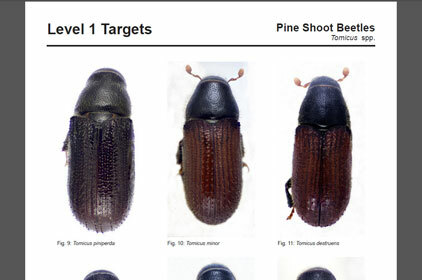 This aid is designed to assist in the sorting and screening of Scolytus intricatus suspect adults collected through visual surveys in the continental U.S. 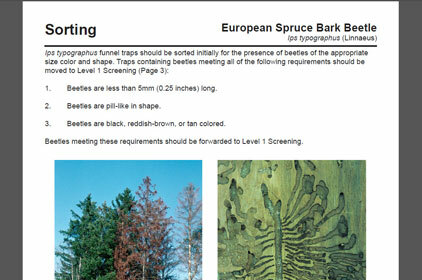 This aid is designed to assist in the sorting and screening of Ips typographus suspect adults collected in CAPS Lindgren funnel traps in the continental U.S. 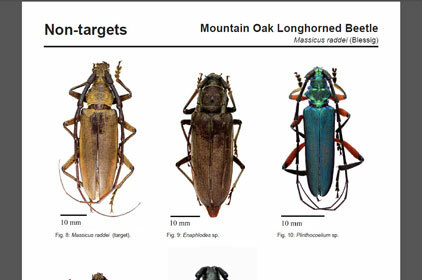 This aid is designed to assist in the sorting and screening of Dendroctonus micans suspect adults collected through visual surveys in the continental U.S. 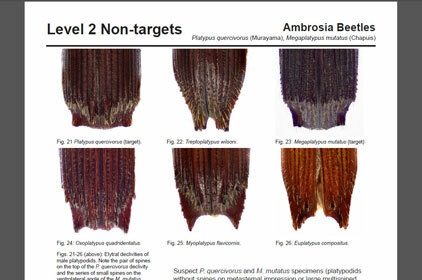 This aid is designed to assist in the sorting and screening of Orthotomicus erosus suspect adults collected in CAPS multi funnel traps in the continental U.S. 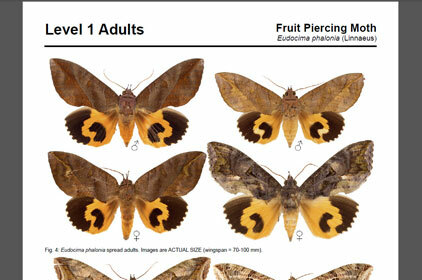 This aid is designed to assist in the sorting and screening of Massicus raddei suspect adults collected through visual surveys in the continental U.S. 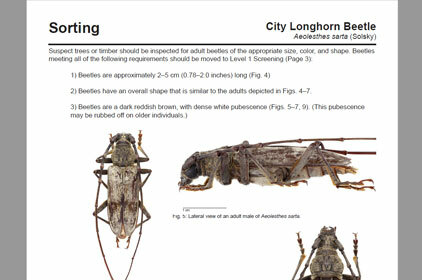 This aid is designed to assist in the sorting and screening of Monochamus alternatus and M. sutor suspect adults collected in Lindgren funnel traps and by visual surveys in the continental U.S. 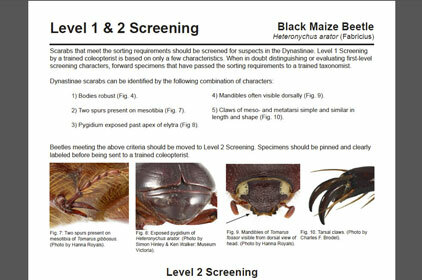 This aid is designed to assist in the sorting and screening of Tomicus spp. 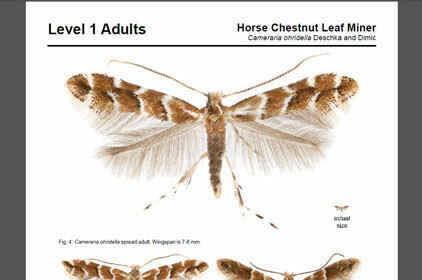 suspect adults collected through visual survey and Lindgren funnel traps in the continental U.S. 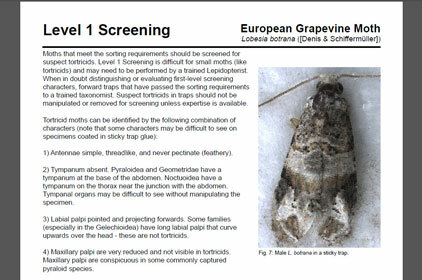 This aid is designed to assist in the sorting and screening of Xyleborus glabratus suspect adults collected in CAPS Lindgren funnel traps in the continental U.S. 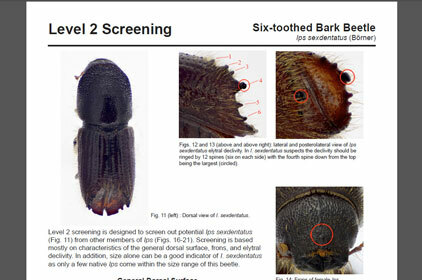 This aid is designed to assist in the sorting and screening of Ips sexdentatus suspect adults collected in CAPS Lindgren funnel traps in the continental U.S. 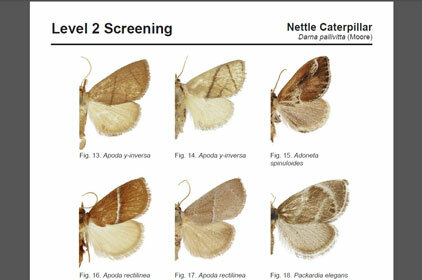 This aid is designed to assist in the sorting and screening of Pityogenes chalcographus suspect adults collected in CAPS Lindgren funnel traps in the continental U.S. 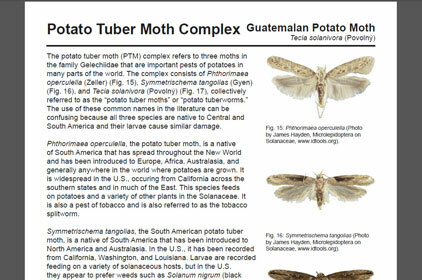 This aid is designed to assist in the sorting and screening of Chilo suppressalis suspect adults collected from CAPS pheromone (sticky) traps in the continental U.S. 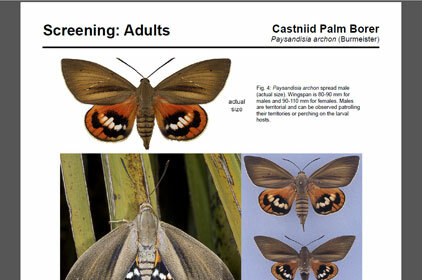 This aid is designed to assist in the detection of Paysandisia archon suspect adults through visual surveys for adults and larval damage. 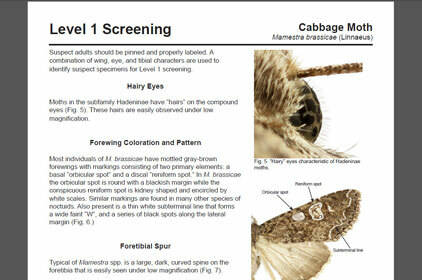 This aid is designed to assist in the sorting and screening of Eupoecilia ambiguella suspect adults collected from CAPS sticky traps in the continental U.S. 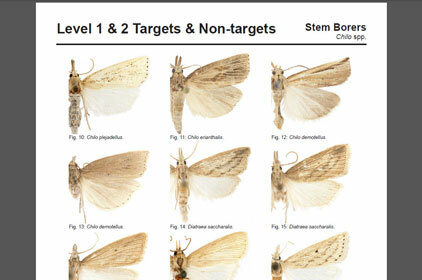 This aid is designed to assist in the sorting and screening of Lobesia botrana suspect adults collected from CAPS sticky traps in the continental U.S. 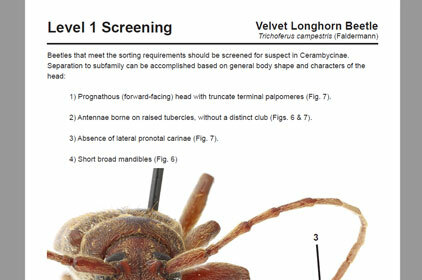 This aid is designed to assist in the sorting and screening of Thaumatotibia leucotreta suspect adults collected from CAPS sticky traps in the continental U.S. This aid is designed to assist in the detection of Eudocima phalonia through visual surveys in orchards. 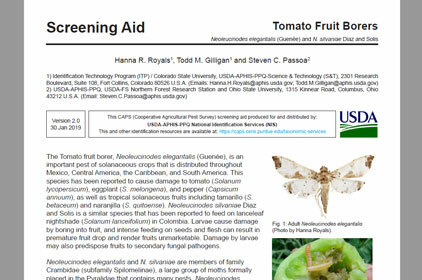 This aid is designed to assist in the detection of suspect Cameraria ohridella by visual observation of larval damage (leaf mines) on Aesculus or Acer. 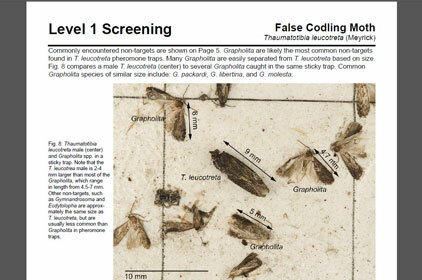 This aid is designed to assist in the sorting and screening of Leucoptera malifoliella suspect adults collected from CAPS sticky traps in the continental U.S. This aid is designed to assist in the sorting and screening of Panolis flammea suspect adults collected from CAPS bucket traps in the continental U.S. 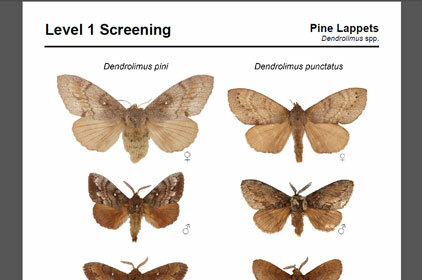 This aid is designed to assist in the sorting and screening of pine lappet (Dendrolimus spp.) 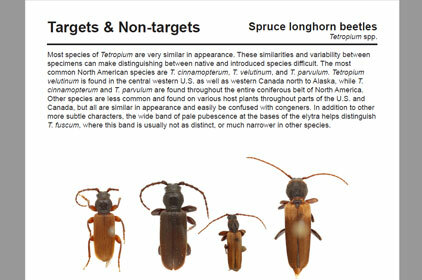 suspect adults collected from CAPS pheromone traps in the continental U.S. 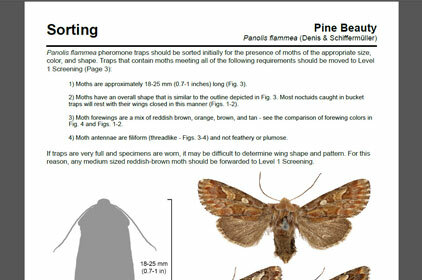 This aid is designed to assist in the sorting and screening of processionary moths (Thaumetopoea spp.) 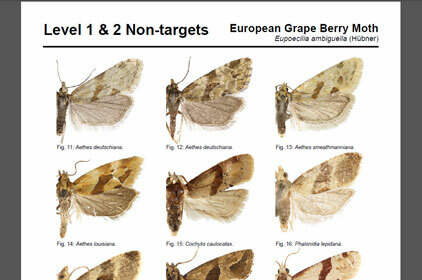 suspect adults collected from CAPS pheromone traps in the continental U.S. 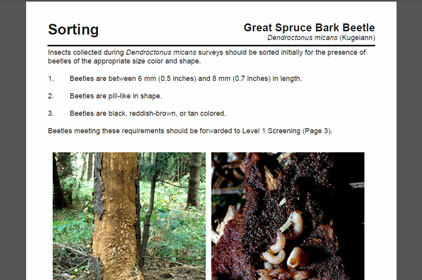 This aid is designed to assist in the sorting and screening of Adoxophyes orana suspect adults collected from CAPS sticky traps in the continental U.S. 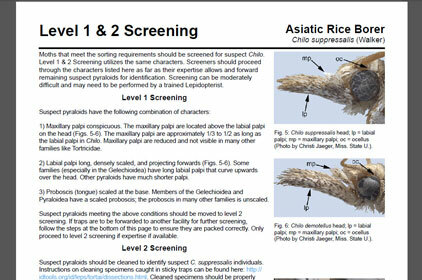 This aid is designed to assist in the sorting and screening of Archips xylosteana suspect adults collected from CAPS sticky traps in the continental U.S. 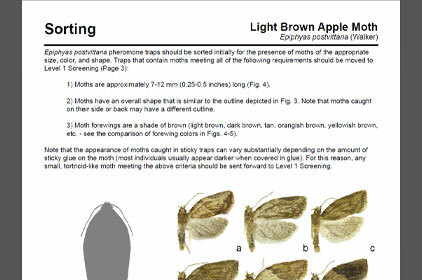 This aid is designed to assist in the sorting and screening of Epiphyas postvittana suspect adults collected from CAPS sticky traps in the continental United States.